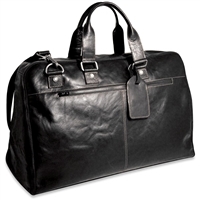 Constructed of all types of leathers, leather duffel bags with reversible (near invisible) zippers, and finished with antiqued silver hardware, this updated classic will keep you traveling in style. 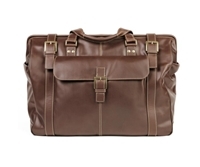 Wide-mouth zippered opening makes packing a breeze and the unstructured design gives you enough room for a weekend getaway or is collapsible when space is tight. 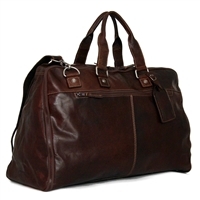 Baggage Buy has the duffel bag for you. We are here to help.